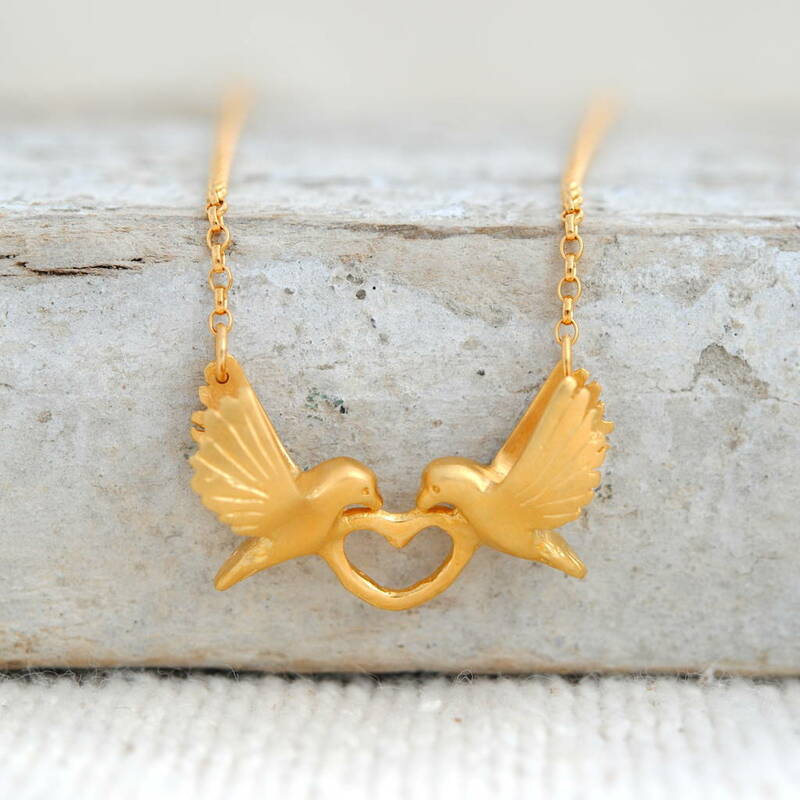 Two turtle doves sit in between a delicate subtle heart in this handmade gold love bird pendant; the perfect token of devotion for valentine’s day. 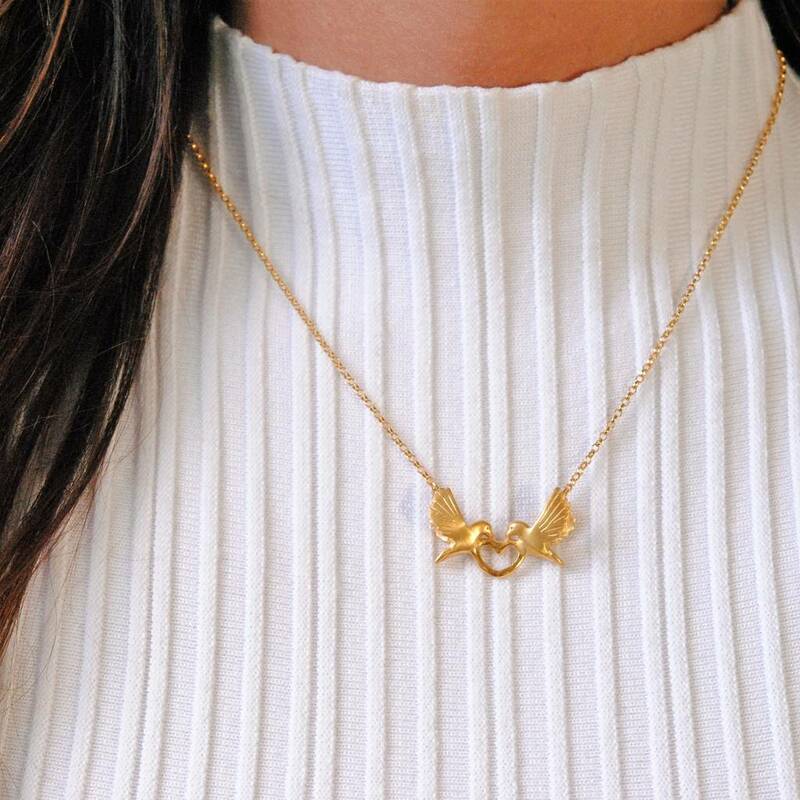 Sustainably handcrafted by Alice in gold plated solid sterling silver, this original gold dove necklace is a symbol of enduring love, making it the perfect unique gift for valentine’s day. 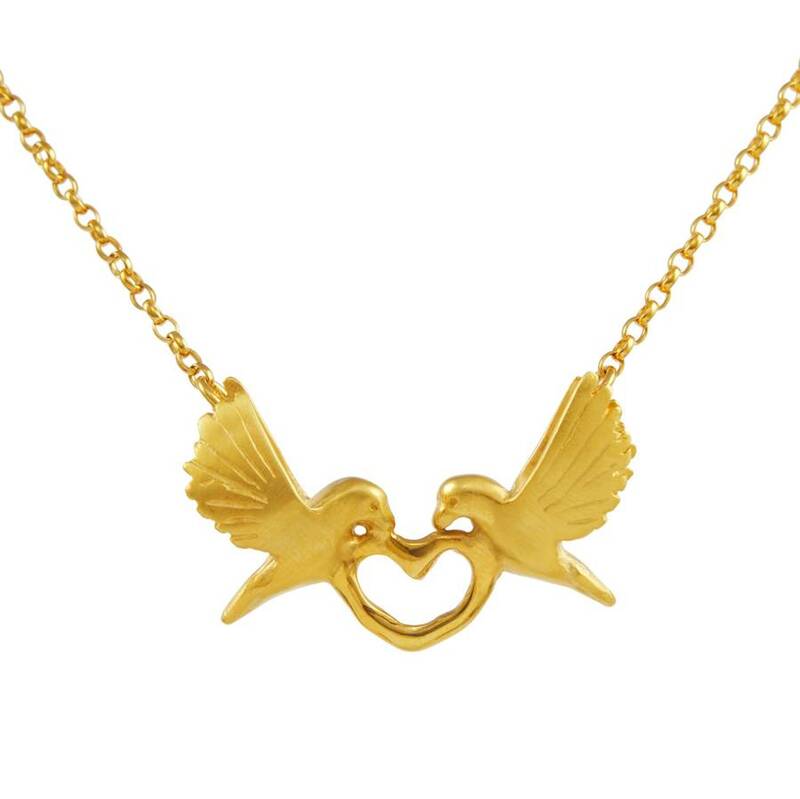 Currently endangered in the UK the beautiful turtle dove is timelessly captured with great attention to detail, in this hand carved love bird pendant. 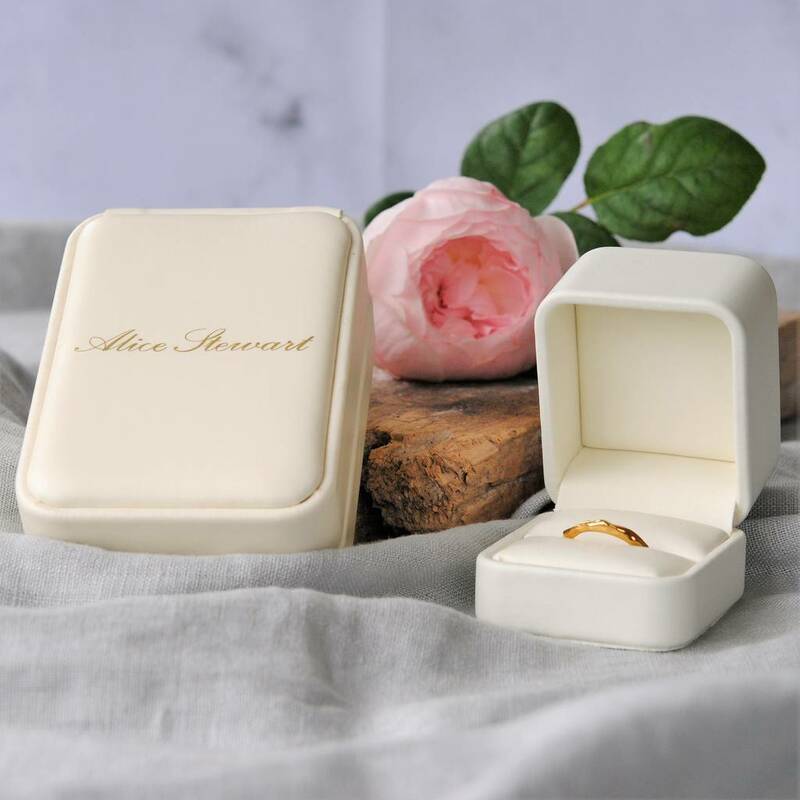 All our jewellery is elegantly packaged in our beautiful signature boxes and sent out in eco-friendly, recyclable packaging. It also comes in Sterling Silver, and matching earrings are available. 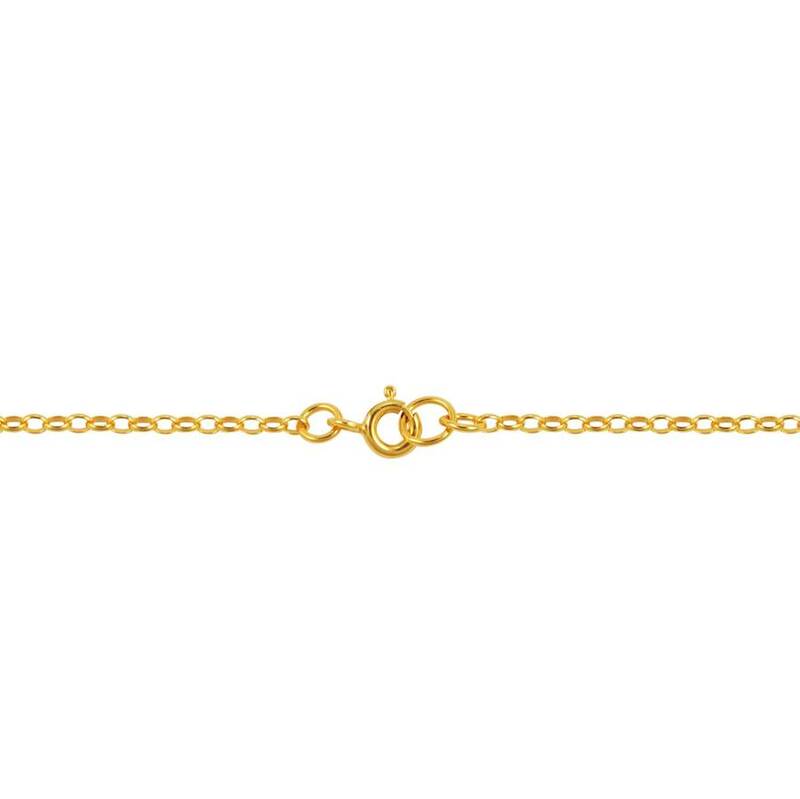 The pendant is 3cm x 1cm wide with a 16" belcher chain and a bolt ring clasp. This product is dispatched to you by Alice Stewart.